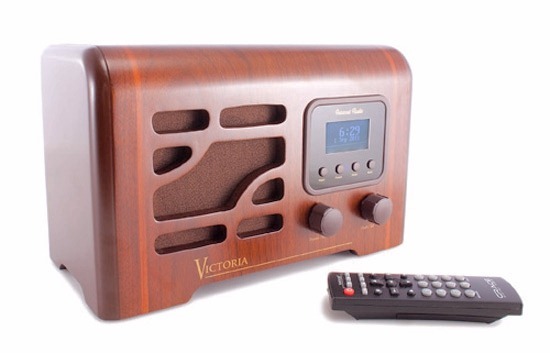 Grace Digital Victoria is a fantastic retro style internet radio receiver. A combination of nostalgic decor and modern tech. It is well made if not for the small LCD display, this cyber device may easily be considered to be an antique radio. 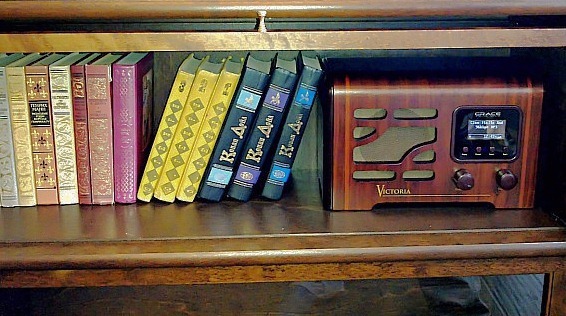 Aside from the vintage look, Victoria is a full functioned internet radio receiver. It frees you from the limited choice of stations in your local area. There are thousands of stations to choose from and with integration of other paid service like Sirius or Pandora. It is not difficult to set up and the sound is very good. Victoria GDI-IRN1941 can function someway like a short-wave radio with perfect reception of any station all around the world. More than that this device has extra features that elevate the functionality of this radio to a whole new level! By that I mean USB storage card in putting, local audio files sharing and smart app controlling. And you can take advantage of the variety of alarm options, set different alarms for weekdays and weekends. 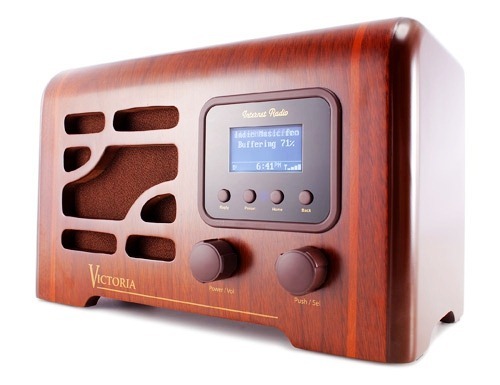 Grace digital Victoria internet Radio has a nostalgic design with 1940s typical heavy wood, stylish cabinet. If you like old music and listen to it from time to time. Just image a picture of yourself listening to 40s music from this walnut case, that will temporally take you back to that time. The box looks marvelous, and the knobs and display are refined and well constructed. It fits well with decor wooden decor bedroom and a wood bookshelf as well. Especially the best for office room furnished with antiques. Having a vintage book does not mean it works than way. In fact, this Grace Digital radio adapts many modern technologies in its nostalgic case. It has been equipped with a 4-line adjustable backlit display, which is easy enough to read from 6 to 7 feet away.Just big enough for the antique look of Victoria and it does not steal away from the style. Besides displaying the track and station names, it can even show your local Weatherbug conditions while listening. This internet radio is compatible with B, G & N routers, according to the engineer from the making company it works best with routers in mixed mode. The remote control is about the size of a DVD player remote with solid buttons. You can use the back USB slot to listen to your own private music library. In order to send charming sound that can match its fabulous design Grace Digital Victoria GDI-IRN1941 has come with a 16 watt class D digital RMS amplifier and a 4" full range speaker with rear reflex bass. This combination with multi-level equalization settings and presets ensures you can get very good sound with it. But for an internet radio, excellent components are not the only factors that affect the sound quality. The audio stream your receiver connected may play more decisive. From my own experience, the Grace Digital Victoria gives good and smooth sound when listening to Pandora, NPR, BBC and most talking shows. Nevertheless, the results from some classic radio stations such as Otto’s Classical Musick and 1.FM-Classical are lacking dynamic and depth. Considering the purpose and application of this radio that would also be acceptable. Fortunately when use the Aux-in to connect my CD player and share high quality audio files via DLNA the result is amazing for this single 4" speaker. By doing this, I only want to tell Victoria is capable of the best sound but limited by the audio sources it designed for:the internet radio. The highest bit rates by most internet radio stations are 256KB. The restrained number is determined by various tech and historical reasons. We can only look for the next generation internet radio steaming protocol. Maybe we can obtain the same result from internet radio just like that with our own CD by that time. As the continuous explosion of high-brand tech that is something can be expected in the near future. Only one walnut color not versatile everywhere. 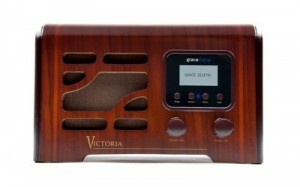 Grace Digital Victoria GDI-IRN1941 wireless internet radio has a retro design with fine craftsmanship. The sound quality is superior compare with other devices. Crisp highs, deep bass and clear background given the Rear Ported Stereo speakers are really nicer than I had anticipated for an internet radio. With it you can enjoy limitless internet radios on all subjects and interests and just about all music types, styles and genres. 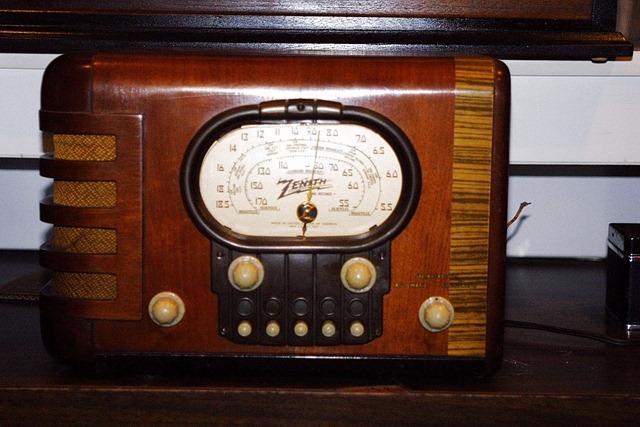 Just keep your comfortable position and listen, not bother to get any extra devices.If you’re just looking for a good internet radio and like the antique looks, Grace Digital GDI-IRN1941 is the one worth a try and it will work just as you wished. Right now the price is about 220 bucks. But depends on the way you choose that may differs a little. Hello,. I have been looking for the Grace Victoria Internet Radio. I understand it is no longer is production. I have looked everywhere for a new old stock or used unit. If anyone has knowledge where I can find this product, please contact me. I am really trying to find this by Christmas. I know about the product, a friend has one, I’m familiar with it (generally) and I want to give it as a gift. Could anyone help this friend find this Grace Victoria Internet Radio. Thanks a lot ! Try eBay, but be careful – there are some real sharpsters out there. It’s a beauty, I got one while they were still in production (about five years ago), but it’s beginning to go on the fritz.